Caeneus Minerals (ASX:CAD) this morning provided an exploration update regarding its 80% owned Pardoo Project in WA’s Pilbara region. CAD reported that it has completed a 10 hole RC programme at the Pardoo Highway nickel-copper-cobalt deposit that it owns in a joint venture with Arrow Minerals (ASX:AMD). The Highway deposit has been a focus for past explorers primarily attempting to identify the source of sulphides for this large, nickel-copper-cobalt deposit. 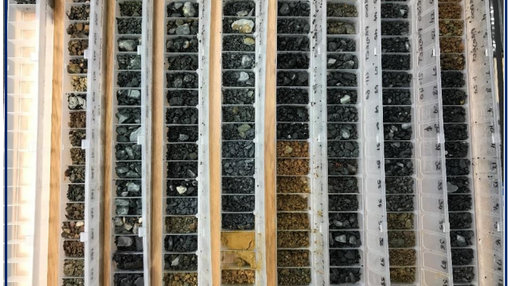 Any detection of nickel-copper-cobalt mineralisation within the disseminated sulphides identified from the recent RC programme will be of great interest and form the basis for the next stage of exploration planning for the up and coming field season. CAD finished drilling the RC holes at the end of October, after which the samples were immediately placed in storage as a cost saving measure so were not processed, tested or analysed. The samples have now been collected from storage and submitted for assays with ALS Global. A sample log was also recovered and inspected against the field geological logging datasheets recently received. Samples were only collected from those holes that made it to basement or planned target depth (PRC01–PRC07) with other holes abandoned due to unforeseen deep running sands/gravels. The assay results are due this month. If there is any encouraging anomalous base metals or gold encountered in the assays CAD will plan new high powered ground geophysical surveys to assist in locating the source of the sulphides and commence follow up RC drilling based on favourable geology. Original holes of interest will be investigated for possible down-hole electromagnetics if practical. 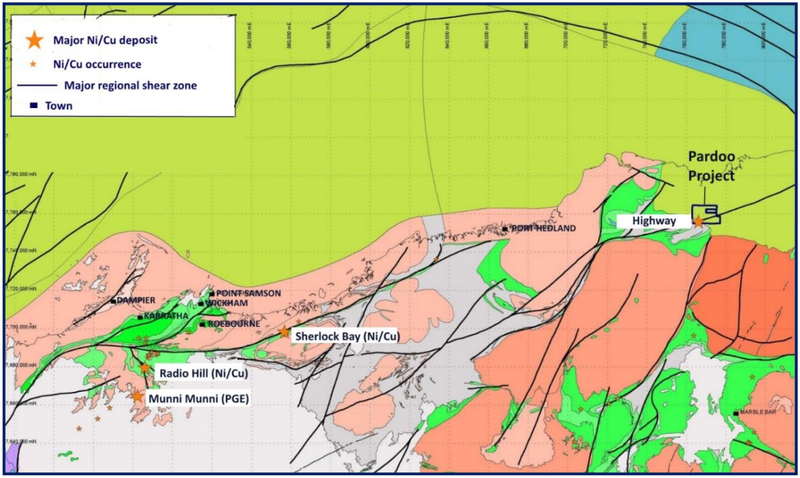 The Pardoo Highway nickel-copper-cobalt Project is situated in a similar structural setting, adjacent to the major regional Tabba shear zone, as other significant Pilbara based nickel-copper occurrences such as Radio Hill and Sherlock Bay. The Tabba shear fault zone extends for some 150 kilometres and is well endowed with multiple hydrothermal shear related gold deposits also, most notably De Grey Mining’s (ASX:DEG) Indee Gold deposits’. Further results are expected to arrive over the coming days, while planning of planning of future activities at Pardoo is underway.